Over the weekend, I worked on filling two more storage tubs for our local consignment store, as I do every month. … Regularly consigning two tubs of stuff … is how I prevent ‘stuffocation. Acceptable ‘coffice’ etiquette states that something must be ordered during your stay. A University Of California (San Diego) study found that the amount of information the average American processed in 2008 was triple what it was in 1960. This has turned many into pancake people — spread wide and thin. 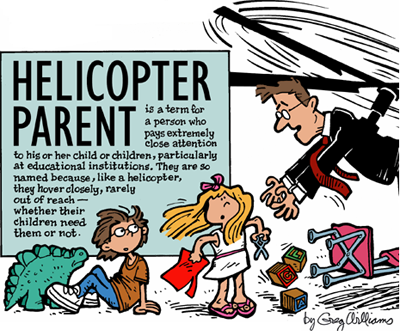 Meet the helicopter parents, so-called because they hover over their children, interfering and directing their lives in a way that would probably have embarrassed standard pushy parents. The most commonly-accepted definition of a cougar is a woman 40 years of age or older who exclusively pursues very young men. That cougar I met last night, showed me I didn’t know existed, I’m goin back for more. My boyfriend is off for some bromance with his best mate tonight..